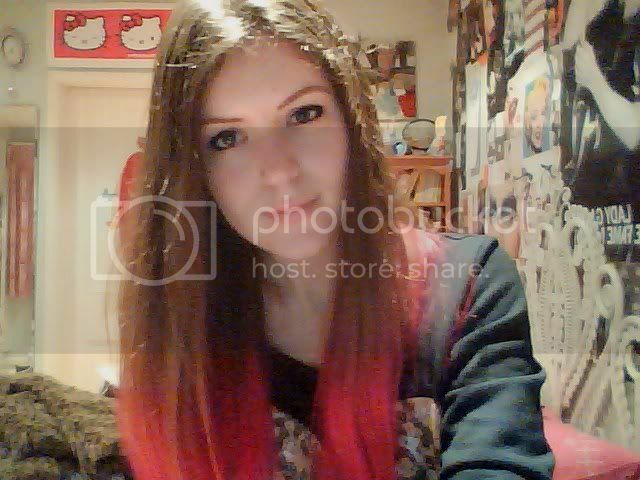 Was going to tone my ombre on Sunday to make it less ginge and more blonde and I found a tub of La Riche Directions in Tulip in my 'dye drawer' so I decided to try out a bit not thinking it would take very well as my hair wasn't very blonde - but it turned out so bright! Makes me glad the place I work is very laid back! Also can't tell whether MAC foundation is literally a miracle worker or the second picture was taken in excellent lighting...I'm going to put it down to MAC and my Sigma f80 brush which I aime muchly and will try to review soon. Oh wow, that pink is INCREDIBLE. I love it on you. 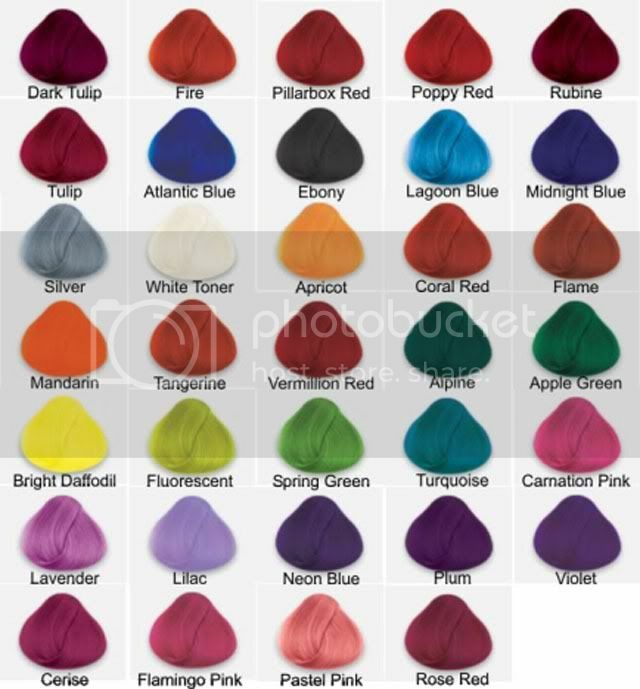 I think my friend uses the same dye, she used to use the turquoise shade a lot. So cool, it looks great on you. 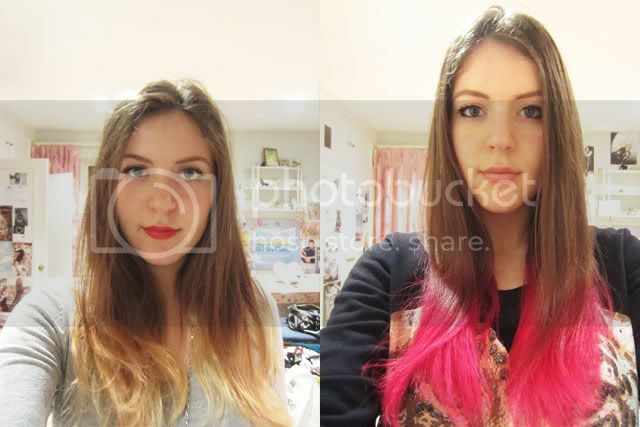 I love how creative pink hair can be.